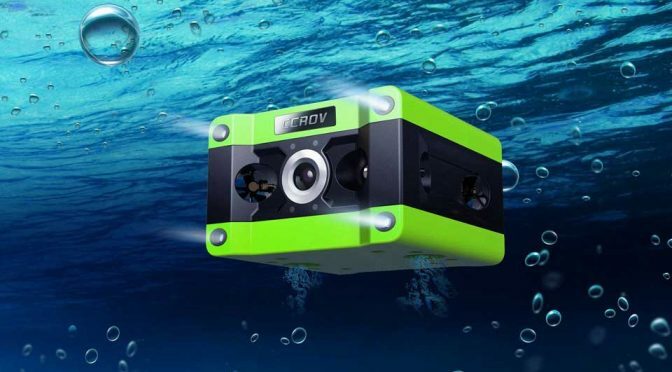 Claiming itself as a professional-grade Remotely Operated Vehicle (ROV), CCROV is indeed the first of its kind to offer 4K videoing capability. Unlike iBubble we saw earlier, this thing appears to be ready to get into the ocean and also, offered a much deeper depth of dive, going as deep down as 100 meters (328 feet). 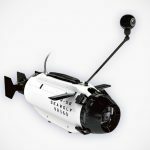 Six thrusters affords the ROV pretty much all the freedom of movement necessary while a removable and replaceable battery pack, located in the Tether Deployment System, provides up to an hour of operation in between charges. 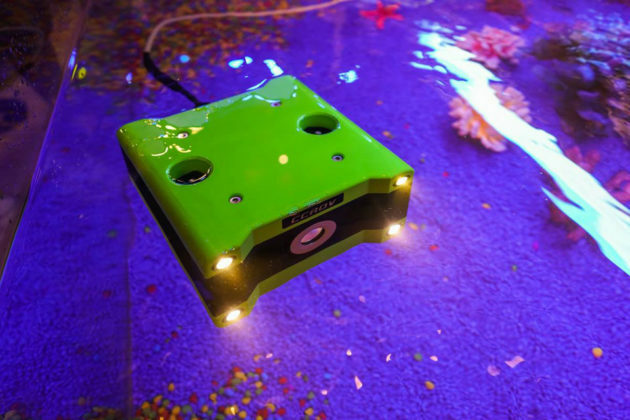 The vehicle is controlled with an app installed on your smartphone or a dedicated control, or both, and connects wirelessly to the Tether Deployment System which will pass on the command to the ROV in the water. The same cable will also relay the 4K images back and to the display, which in this case, could be your smartphone or tablet, or both. 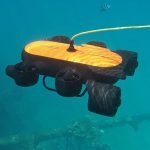 CCROV Underwater Drone may not have the look, but hey, it is a pro-grade device and historically, pro-grade devices are never known for their looks. Speaking of aesthetic, CCROV is, like its name, leaves much to be desire, but what the heck, if it performs as advertised, then it is all good to us. 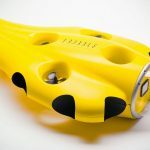 Strange that the Shenzhen-based team did not work on its hydrodynamic, but that’s probably due to pressure-resistance consideration when going deep, plus, it was never designed to challenge any speed record and so, hydrodynamic is probably non-issue. 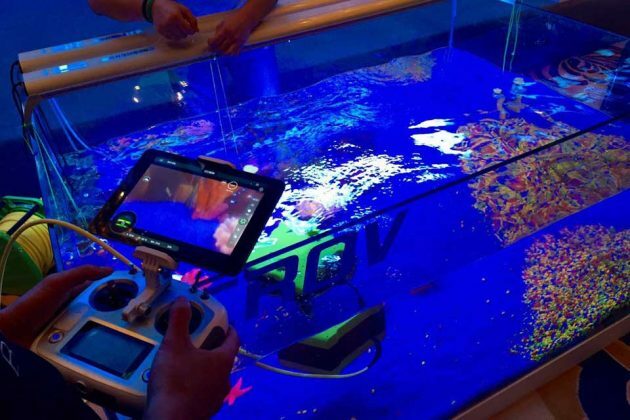 Another noteworthy mention is, CCROV will be hitting up CES 2017 (Booth #51622, Sands Hall G). Furthermore, it was used for shooting this year’s International Free Diving Champion held in China. 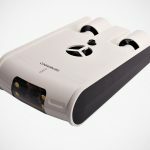 What this means is, backers or customers (yes, it is on Indiegogo InDemand) who have pre-ordered can be sure that it is a real-deal that will be delivered. We understand the controversy surrounding crowdfunding campaigns and therefore, we also understand the importance of reassurance. It may not be hiccup-free in terms of production to delivery, but you have to agree that if you put down $1,599 or more, odds are, you likely to see it in April 2017 which is the promised date of delivery. Catch the pitch video below to learn more.